With summer coming up, BONZEL expands its range of wines with its latest launch: JO’CAFASSO. The new brand of Italian Proseccos declines its flavors in 3 different choices, going from the driest to the sweetest, to satisfy all the palates. 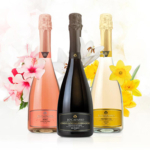 Coming from vineyards in the Veneto hills of Northeastern Italy, the JO’CAFASSO Proseccos have been produced based on the expertise and know-how of the region, renowned for its production of exquisite wines. The subtle aromas and finesse of the JO’CAFASSO Proseccos will make the success of your receptions. Thanks to its freshness and lightness, the JO’CAFASSO Prosecco is ideal as an aperitif, served alone or as a cocktail, to accompany your antipasti and other dishes. Its fruity notes will also match perfectly with your desserts. JO’CAFASSO PROSECCO SUPERIORE, a sparkling white wine with a pale-yellow straw color, an aromatic and characteristic scent, with hints of apple and bread crust, and delicately sweet in the mouth. As an aperitif or at the end of the meal paired with your desserts, it provides a full-bodied flavour. JO’CAFASSO ROSE EXTRA DRY, a rosé sparkling wine with a deep pink color, fine and fruity on the nose, it leaves a delicately acidulous note in the mouth. 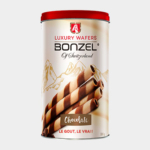 It will accompany perfectly your appetizers and your fish or meat. JO’CAFASSO PROSECCO TREVISO DRY SWEET TASTE, a sparkling white wine with a pale-yellow straw color, fruity on the nose with hints of apple and pear, and slightly sweet in the mouth. It will pair up perfectly with your appetizers and your fish dishes. The Proseccos JO’CAFASSO will delight your guests in any occasions.